Welcome | Anderson, Petersen & Co. 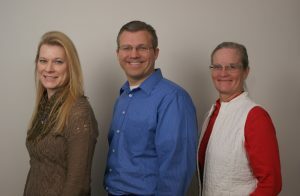 Established in 1986, Anderson, Petersen & Company is a full-service CPA firm that provides quality accounting services. Our clients vary in size from large businesses to individuals. Anderson, Petersen & Company provides excellent tax services as well as auditing and payroll. We use the latest in accounting software, which includes MICR encoded checks for a preprinted payroll service or if preferred, Direct Deposit with paystubs at a small additional fee. Along with the payroll, we provide the quarterly report processing and payment of taxes on your behalf as well as yearend W2s and 1099s; all at a reasonable cost. Our primary effort is to provide outstanding service to all of our clients. Whether it is auditing, tax services, or payroll services, Anderson, Petersen & Company will continue to maintain the highest technical expertise. We are proud of the high quality of service we offer and recognize that the main reason our clients have selected us and continue to retain us is due to the quality, reliability, and responsiveness we provide at a reasonable cost to each client’s unique needs, objectives and circumstances.